After a long day of travel, you’re finally in your hotel room, TV and robe on, room service ordered. When the trolley arrives, though, it’s not the usual club sandwich or burger under that silver dome, but instead, Duck Confit Flautas, Oysters in Champagne sabayon or yuzu cheesecake — sent straight from the kitchen of a Michelin-starred­ restaurant. In recent years, “destination dining” has taken on a deeper meaning as an increasing number of hotels have become home to award-winning restaurants that draw locals and in-house guests alike. While once little more than a place for a quick breakfast or lunch meeting, many of today’s hotel restaurants are overseen by celebrity chefs and are garnering Michelin stars. In many of these cases, though, the restaurant operates as a separate entity—so the most a checked-in guest may expect in the way of perks is some help snagging a prime table or last-minute reservation. 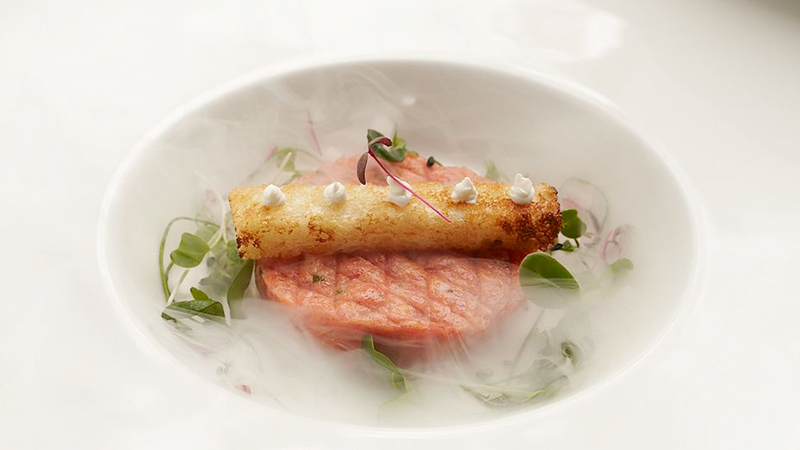 But some hotels have started taking it to the next level, developing deeper hotel-chef partnerships in which the culinary masters oversee all aspects of hotel dining, from the lobby to the rooms. And in extra-special cases — those in which, we assume, the chefs aren’t too precious about micro-managing a diner’s experience—hotel guests are even able to order dishes from the actual restaurant menu to their rooms, instead of from a separate selection of more casual fare. Here are nine hotels where you can dine on Michelin-starred dishes without the hassle of snagging a reservation, sitting for a long meal—or even getting dressed. 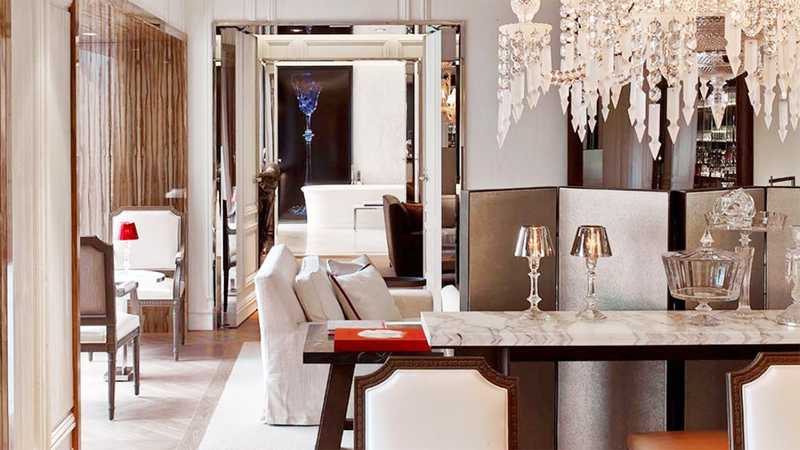 It’s a good thing the elegant rooms and suites at the Mandarin Oriental, Tokyo are outfitted with chaise lounges, sectional sofas, and other cushy seating—because with a 50-page in-room dining menu, there’s a lot to settle in and dig into. Among the highlights are dishes from Sense, the hotel’s Michelin-starred Cantonese restaurant; each is called out in its own box in the menu, so they’re easy to spot. Choose from specialties like barbecued Peking duck rolls topped with miso-peanut sauce, Cantonese fried rice with veggies and prawns and deep-fried sweet-and-sour Mochibuta pork, then top it off with some fresh mango pudding while looking out at the city below. Now a beloved Napa Valley resort, Auberge du Soleil was solely a restaurant when it was first opened in 1981 by French restaurateur Claude Rouas and business partner Bob Harmon; the inn (now housing 50 guest rooms) came five years later. Spread out over 33 acres, the place still puts food the heart of everything it does—as evidenced by the recent awarding of its thirteenth consecutive Michelin star. 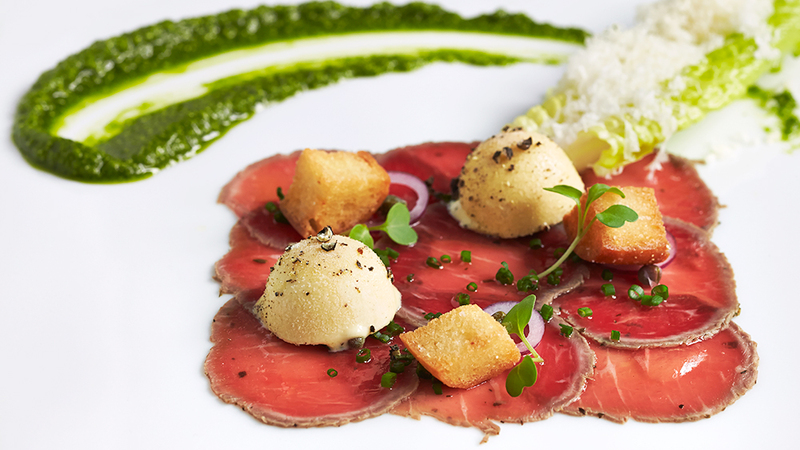 While the seasonally-changing fine-dining dinner menu is not available via room service, the entire bar and bistro menu—crafted in the same starred kitchen—can be ordered in, and does include a couple crossover items like Osetra caviar served with blinis and the famous chocolate-hazelnut torte. 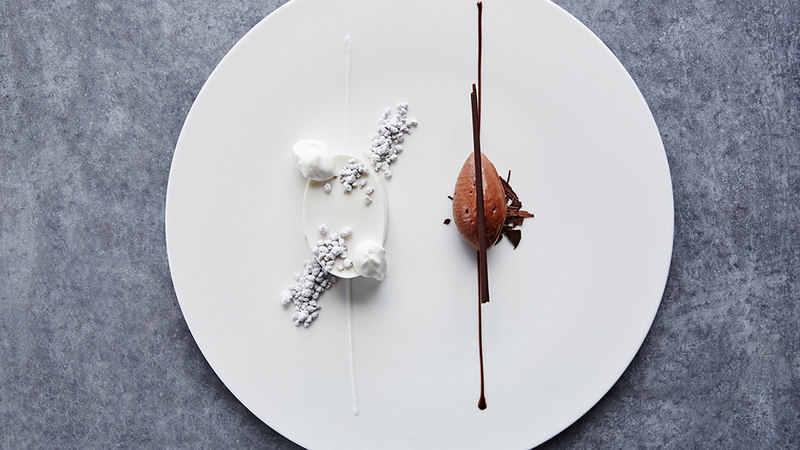 First opened during St. Moritz’s 2017-2018 winter season, chef Tim Raue’s The K at the legendary Kulm Hotel proved so popular, it popped up again for the 2018-19 season—and earned itself a Michelin star along the way. 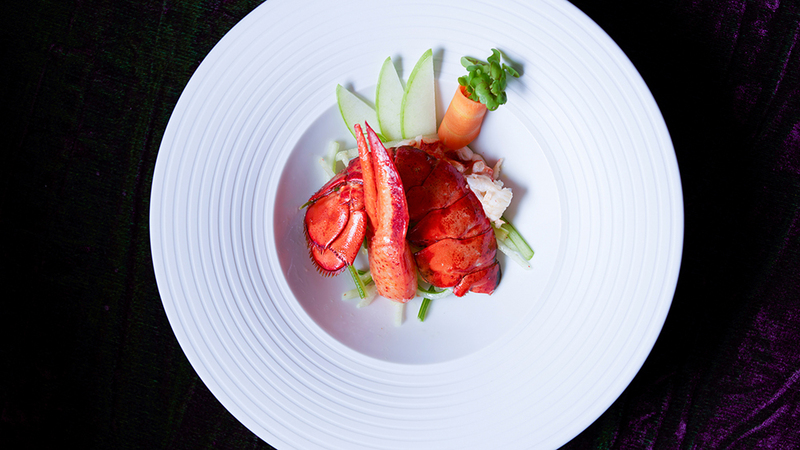 The restaurant serves select dishes from Raue’s two-Michelin-starred eponymous Belin restaurant, and anything from The K’s menu can be served in-room upon request—so take your pick of tasty fare like wasabi rock lobster, veal with black truffles and Jerusalem artichokes and yuzu cheesecake with sorbet, caramel and Korean lemon jam. The Asian-accented fare may seem like a surprise for the Swiss mountain setting, but it fits right in with the Kulm’s history of being innovative and catering to a sophisticated global guest. 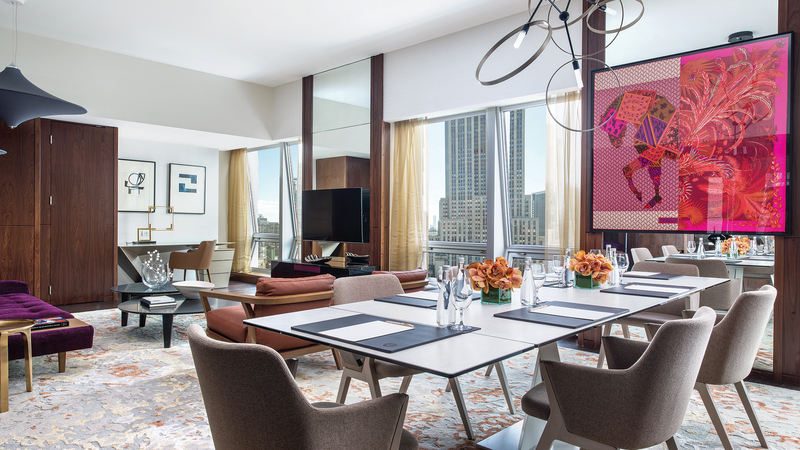 The Roche Bobois Presidential Suite at The Langham New York sets itself apart in many ways, from its luxe décor of Hermès accents, Roche Bobois pieces and contemporary artwork to the floor-to-ceiling windows that frame views of the Empire State Building. But one perk that foodies in particular will love is the exclusive access to room service from Ai Fiori, chef Michael White’s on-site Michelin-starred restaurant. Guests of the Presidential Suite (and only this suite) can have the entire Ai Fiori experience brought to the room, and even have a chef from the restaurant attend to them en-suite—so get ready to enjoy Mediterranean-inspired dishes like cavatelli with lobster, pan-seared sea scallops with creamy polenta, dry-aged strip loin, veal agnolotti and lots of tasty gourmet sides. The suite can also be connected to up to three additional rooms, in case you want to share your private Michelin-starred meal with some friends or family. Michelin hasn’t produced a Los Angeles guide since 2008, but in that last edition, chef Wolfgang Puck’s legendary Spago was awarded two stars, along with just three other spots in town. With Michelin recently announcing that it will be returning to LA soon, it’s expected the restaurant will re-earn its awards—and in the meantime, you can still enjoy some of that technically-still-starred fare in your room at the AKA Beverly Hills. 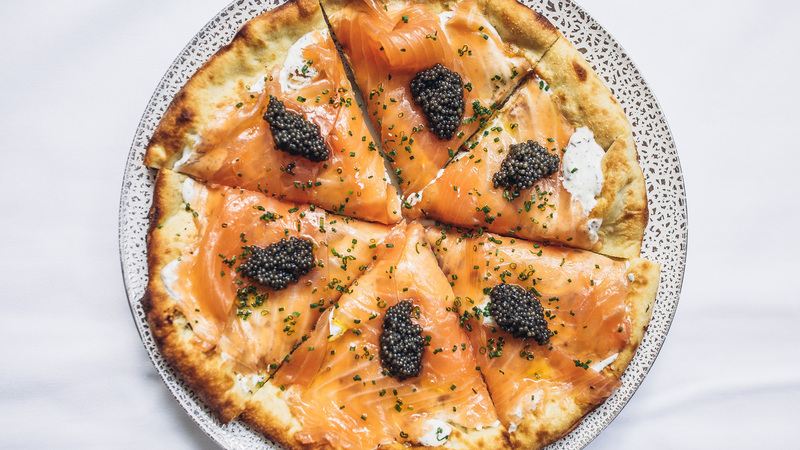 In a first for Spago, the flagship eatery is allowing guests of the long-stay, apartment-style hotel to order in-suite dining off an exclusive menu featuring both Spago classics and daily chef specials. The menu changes seasonally, but may include dishes like homemade ricotta gnocchi with braised veal ragu, seared Alaskan halibut and a “Chirashi Box” of sushi. If you do feel like going out, AKA guests enjoy preferred seating at Spago, and can enter via the restaurant’s VIP back entrance. Plus, AKA suites have kitchens—so there’s somewhere to store the leftovers. Set overlooking the famed Swiss ski village, The Alpina Gstaad offers guests lots of standout amenities, from a vibrant contemporary art collection, an on-site screening room and a spa offering unique treatments (such as Tibetan singing bowl therapies) to four distinct restaurants. 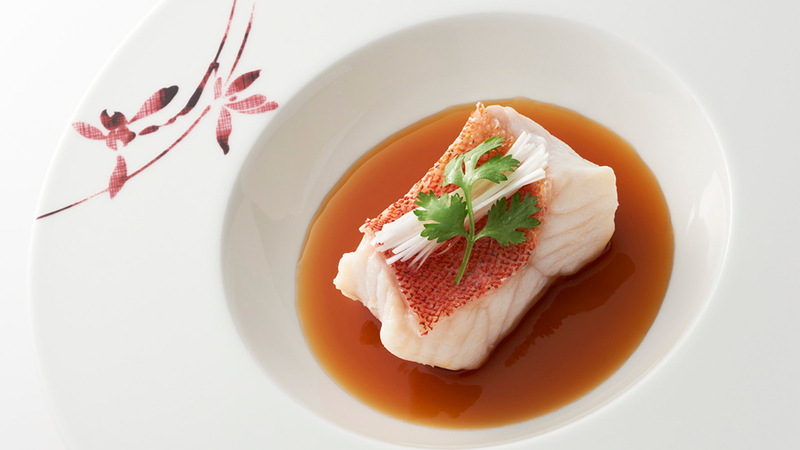 Two of the latter each have a Michelin star: Japanese standout Megu doesn’t offer room service, but fine dining Sommet—where the hotel’s executive chef Martin Göschel transforms hand-selected seasonal ingredients—does. Order up some sautéed octopus, homemade langoustine ravioli, or a perfectly-cooked filet of Swiss Simmenthaler beef, all paired with some excellent Swiss wine. Set about 90-minutes outside of Washington, DC, The Inn at Little Washington has garnered rapturous reviews—think “the best meal I’ve ever had” and “so good it makes you cry”—from critics and guests alike, and has also earned three Michelin stars for 2019. Its fame comes from both its cuisine and the whole dining experience, with chef/proprietor Patrick O’Connell and his team presenting their unforgettable meals in an elaborately-decorated dining room lit by oversized, pagoda-style lamps. But that’s not to say it’s fussy: The chef’s only dress code requirement is “no wet bikinis,” so you can come down in your robe—or have anything from the menu sent to your room. Get cozy in one of the 23 rooms and suites, then indulge in a carpaccio of herb-crusted Elysian Fields baby lamb loin with Caesar salad ice cream, a quartet of “Wellfleet Oysters” in Champagne sabayon and more decadent delicacies. 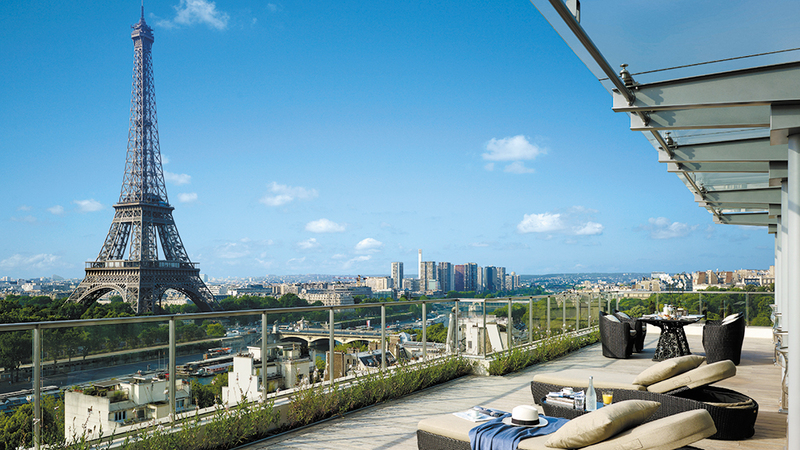 With views of the Eiffel Tower featured in many of the rooms (and even many of the bathtubs), it’s hard to tear yourself away from your personal sanctuary at the Shangri-La Paris. So it’s lucky that the historic mansion hotel’s two Michelin-recognised restaurants—the two-star L’Abeille and one-star Shang Palace—both deliverer a select menu of signature dishes to the rooms, making for the ultimate romantic meal. From L’Abeille, try roasted pigeon with beets, black olives and hay, or roe done two ways with veggies, fruit and pepper sauce. From Shang Palace, don’t miss favorites like Cantonese-style hot-and-sour soup, blue lobster fried “Hong Kong style” and fried rice with crab, shrimp, duck and chicken, steamed and served in a lotus leaf. You won't have to share the sand at these hidden paradises around the world.